Posted June 23, 2014 at 12:30 pm . 0 comments. Get It Digital via eBay has the Nikon D800, brand new, for $2099.99. Please note they are selling import models, they are physically equivalent: but in lieu of a Nikon warranty, the seller is providing a one-year store warranty. Get It Digital via eBay is a reliable eBay seller with 99.4% positive feedback. You also get eBay, PayPal, and credit card buyer protection to back you up in case of issues. This is the lowest price we’ve ever seen for a brand new D800. 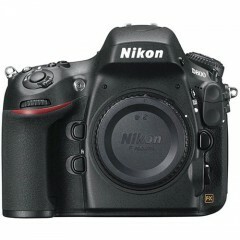 Compare with $2996 at authorized Nikon US dealers. This deal is hot and will sell out today.